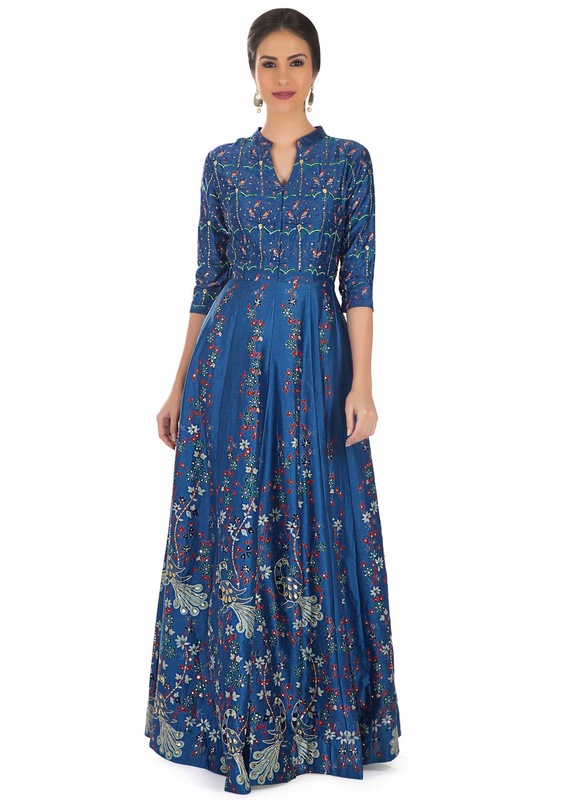 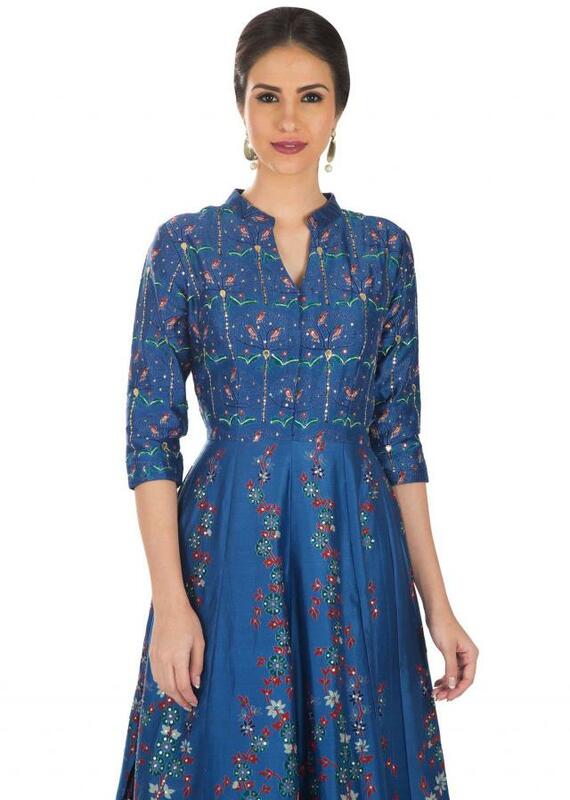 The blue cotton silk dress is one that you cannot miss. 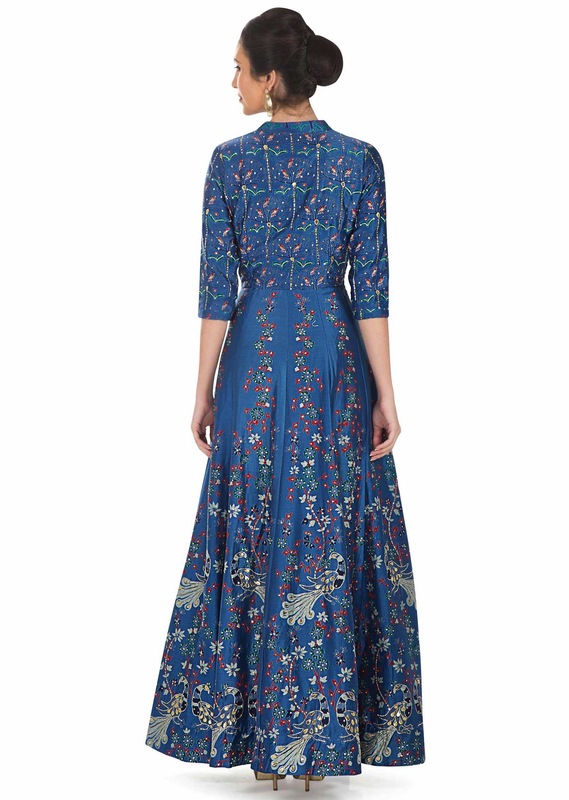 It is covered with floral, birds and peacock prints that are studded with sequins and gotta patch work. 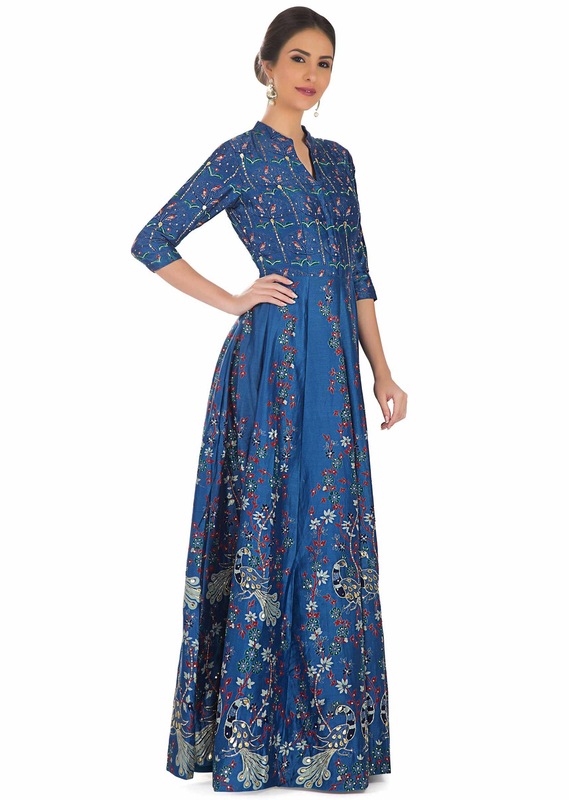 The dress features a mandarin neckline, three quarter sleeves and a concealed hook eye closure on the bodice.